The apostles were formed by erosion: the harsh weather conditions from the Southern Ocean gradually eroded the soft limestone to form caves in the cliffs, which then became arches, which in turn collapsed; leaving rock stacks up to 45 metres high. The site was known as the Sow and Piglets until 1922 (Muttonbird Island, near Loch Ard Gorge, was the Sow, and the smaller rock stacks were the Piglets); after which it was renamed to The Apostles for tourism purposes. 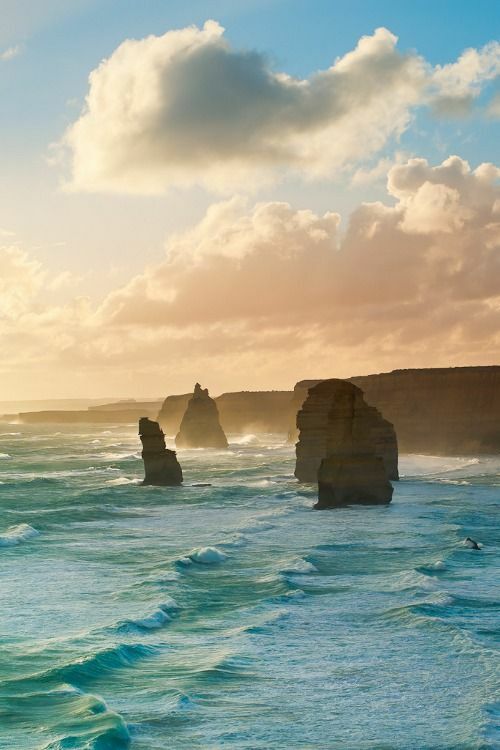 The formation eventually became known as the Twelve Apostles, despite only ever having nine stacks.